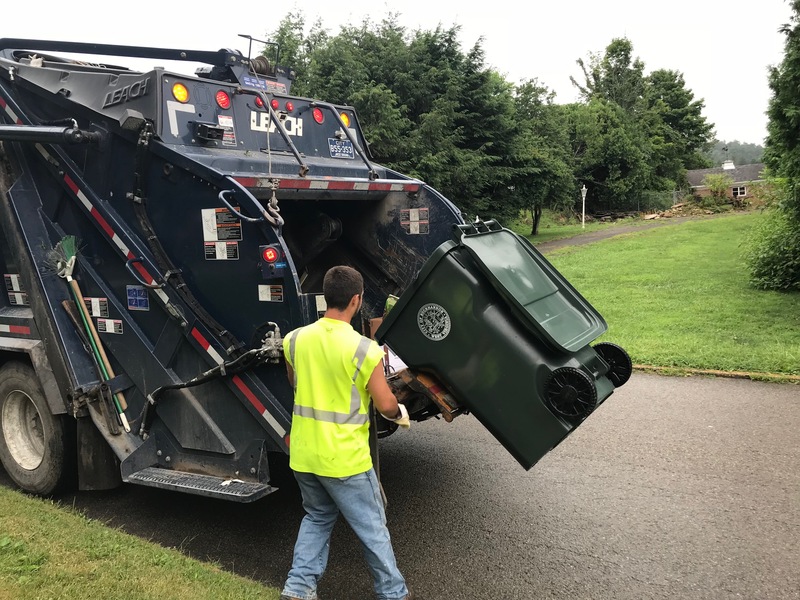 BUCKHANNON, WV: City-operated waste collection will proceed on Monday, December 31 (although City Hall will be closed), but will not be collected on Tuesday, New Year’s Day. Waste and curbside recycling collection will proceed on Wednesday, January 2, 2019 on the one-day-delay schedule. Please remember to set your toter, waste bin, and recycling out the night before. Paper and corrugated cardboard recycling are available at the Crossroads Drop-Off Center and the Recycling Center on Mudlick Road. Again, the next curbside collection date for #1 & 2 plastics, paper/magazines, and metal cans will be Wednesday, January 2 (the normal collection date is the first and third Tuesday of each month). Paper and cardboard products that have been used to serve food are not recyclable. If you place those and other non-recyclable materials in the recycling bins, you risk having our entire shipment refused and discarded. However, many paper products can be composted. Consider starting a compost system at your residence to limit waste. For more information about how to recycle in Buckhannon and Upshur County, please visit our recycling webpage at http://buckhannonwv.org/residents/recycling/. You may also reach our Recycling Center at (304) 472-4443 or the Upshur County Solid Waste Authority at (304) 472-7916. City of Buckhannon residents may recycle using curbside collection or the drop-off centers. All residents, city and county, may use the drop-off centers at CrossRoads Recycling and the Mudlick Recycling Center. We accept sorted 1 & 2 plastics and aluminum/steel at the curb. Plastics (1&2), metal cans, paper, magazines, and corrugated cardboard are accepted at the Crossroads Recycling Drop-Off. All of those materials, plus electronics and yard waste, are accepted at the Mudlick Recycling Center. NOTE: This story has been edited from the original version to simplify waste collection instructions and clarify paper recycling policy. The original article incorrectly stated that wrapping paper from gifts is recyclable here.